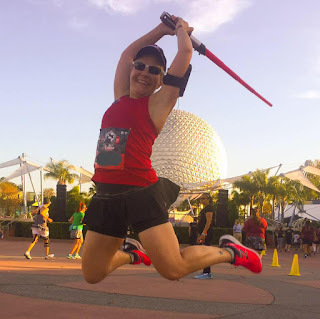 I've been immersed in runDisney info these past few weeks, following along with friends running Star Wars Half Marathon- The Dark Side last weekend at Walt Disney World, and Tinker Bell Half Marathon coming up soon at Disneyland. I've been working on plans for my next rD race (the Wine & Dine Half Marathon Challenge in November! ), and I've been training for a local race happening in a few days, to get a proof of time for Wine & Dine. The dream called Epcot is a best track for Epcot on its 35th anniversary. I can't believe that EPCOT has turned 35 years now.I really wish EPCOT many more successful years ahead.